(BPT) - Families who have children heading off to college are likely navigating an array of options when it comes to actually paying for higher education. A new white paper by Prudential Financial titled Paying For College: A Practical Guide for Families, seeks to dispel some of the misconceptions surrounding loans, grants, scholarships, and available tax benefits. If the bad news about financing a college education is that it can be complex and time-consuming, the good news is that families willing to educate themselves on the process (and familiarize themselves with the potential pitfalls) can develop a strategy that does not break the bank for students or the parents. While earning a college degree is certainly a worthwhile pursuit, the skyrocketing costs of college tuition can leave many students laden with burdensome levels of debt. Parents can also struggle, often sacrificing retirement savings to help their children. The report provides a roadmap for financing a college education. It provides basic, foundational information about qualifying for undergraduate financial aid, taking out public and private education loans, and taking advantage of potential tax deductions and credits. It also offers targeted advice for single, as well as divorced parents. Becoming familiar with the application deadline and requirements for the Free Application for Federal Student Aid (FAFSA) https://fafsa.ed.gov/. Learning the pros and cons of aid sources available, including grants, scholarships, work-study programs, tax credits, and tax deductions. Researching the variables that affect a student’s access to financial aid, including choice of school, how much and in what form the family has saved for college, and how adept the family is at working through the process of applying for help. Once they do their homework, families may be surprised to learn about more effective ways to qualify for grants and scholarships, and if student loans must be taken out, how to navigate the new repayment options that have become available. Divorced and single parents also have special provisions available to them that are worth looking into. “Every family has unique circumstances to consider. Investing time with a financial professional who can help guide them through resource planning can help alleviate some of the stress associated with understanding the process and making sure that the family’s finances are well handled,” said Feeney. To learn more, visit www.prudential.com/payingforcollege. (NewsUSA) - The past 18 months shook up state education communities preparing students to earn a high school equivalency certificate. With some states dropping the old test for new ones, states choosing to have multiple options, and the implementation of College and Career Ready (CCR) standards, the landscape drastically changed in a short period of time. Here's what educators and those looking to achieve this educational milestone should know about the past year and a half. 1: 2014 marked the first year in U.S. history that alternative tests were used by states. Twenty states administered alternative tests after choosing to either drop the GED test within their state or offer multiple tests for students to choose from. The HiSET exam developed by Educational Testing Service and the TASC Test Assessing Secondary Completion by CTB/McGraw Hill allow those who haven't completed high school the opportunity to earn their high school equivalencies. Introducing numerous branded tests broke conventional terms and understanding of how people actually go about earning a high school credential. 2: People are learning you don't "get a GED." Employers, education administrations and institutions of higher education incorrectly ask whether an applicant has his or her "GED." Having proof of a high school credential is essential for many careers and postsecondary education opportunities. However, the GED is a test -- not something earned. HiSET, GED and TASC scores are mobile, meaning they can be used for employment and college applications throughout the United States. 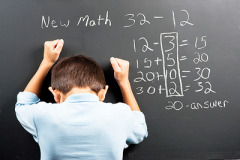 Test takers now have a choice as to what test they choose to take based on various categories such as price or whether the test is available in paper- and/or computer-delivered formats. 3: The results are the same. All three tests measure high school equivalent skills, and each has implemented CCR standards. Whether one takes the HiSET, GED or TASC test, the end result when passing these tests is the individual earning a state-issued credential. 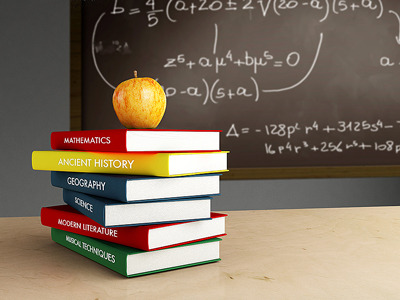 For example, in California, a student can take either test and earn the California High School Equivalency Certificate when passing each test's subject areas. The trend toward alternative testing shows no signs of slowing as more states consider new test options and vendors in the near future. Options in how one earns a high school credential have changed, but the outcomes are the same -- increasing one's ability to achieve a more secure future by reaching this education milestone. 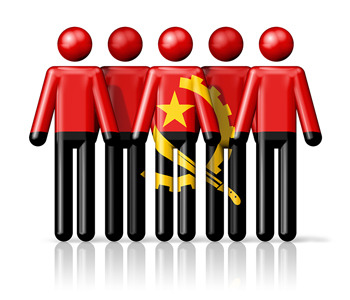 (NewsUSA) - For decades, Angola's government has focused on its natural resources as its number one commodity. Now, however, there is a paradigm shift that may have an even greater potential -- the country's young people. Of course not, says Jose Filament Dos Santos, a representative from the Angolan sovereign wealth fund Fundo Soberano de Angola (FSDEA), which is funding the project. "But we firmly believe that you have to start somewhere, and it's best to get going in an area where it will have a big impact." "In order to understand and draw up major contracts in international business that will bring in long-term revenues not only for investors, but also for the country and its people, Angola needs experts." Enter the 'Future Leaders of Angola,' a six-month executive program that offers Angolan students advanced training in management at an international level. A statement released by the 'Future Leaders of Angola' reads, "We believe [the graduates] will produce a noticeable effect, not least because they will pass on what they have learnt in their future jobs in Angola." For its part, the university said it sees the course as a chance for students to contribute to an improvement in its citizens' lives. "In the curriculum, we put a lot of emphasis on topics such as corporate responsibility, compliance and corruption, and give the participants greater awareness of these issues," stresses Daniel Seelhofer, head of the Department of International Business at ZHAW. While proponents understand the program and the selection of students according to "purely objective criteria" will have its challenges, ultimately it could move the country forward in ways it never thought possible -- until now. (NewsUSA) - While an apple a day may keep the doctor away, it turns out that this delectable fruit can help students, too. This month you can aid specific school causes across the nation by taking a bite out of your favorite apple with "Buy an Apple, Help a Student," a fundraising program supported by the U.S. apple industry and other sponsors. Snack. Grab anything apple-related, such as a piece of fruit, juice, applesauce, or any product from one of the program partners, like Marzetti dips and dressings, KIND Snacks, Roth cheese, or Johnsonville sausage. Snap. Take a picture of yourself or others enjoying the snack. Tag. Find a school cause that you would like to support at Apples4Ed.com, tag your photo with the project's name and use the hashtag #Apples4Ed. Share. Vote for your favorite school cause by uploading the photo to Apples4Ed.com or sharing on Instagram. You can vote as often as you like by uploading photos of yourself or others enjoying apples and apple pairings. For every vote, the U.S. Apple Association and its program partners will pledge financial assistance to nominated projects to help them reach their goals. In addition, participants are eligible to win gift cards and have money donated directly to their selected projects. In December, USApple will announce the cause with the most votes, which will receive the highest donation. All schools will receive a portion of funding for their respective project. "We love the time-honored connection between apples and education and wanted to bring it to life with a fun program that lets people turn their daily apples into direct support for important classroom projects nationwide," said Wendy Brannen, USApple director of consumer health and public relations. "With Buy an Apple, Help a Student, enjoying an apple or delicious pairing from our program partners can go a long way in supporting healthy bodies and minds." For more information, visit www.Apples4Ed.com. The functions of president, secretary and treasurer.